ASTANA – The eighth annual Khalyktyn Suiiktisi (People’s Favourite) national award ceremony was held Jan. 12 at the Rixos President Astana hotel. Public figures, activists, sportspeople, artists and government servants chosen by online voting were awarded in 27 categories. The award is given in different categories, noted founder and Respublika-Aimaq-Damu (Republic-Region-Development) Public Fund President Galym Baituk, reported tengrinews.kz. Three new awards – Military Person of the Year, Police Person of the Year and New Faces of Labour Unions, were added this year. In the main categories, Kazakh actress Samal Yeslyamova was the Breakthrough of the Year winner. The star of the film “Ayka,” she also won Best Female Role at the Cannes Film Festival and the movie is currently on the Oscar short list for best foreign language film. Yeslyamova was unable to attend the ceremony, as she is abroad, and recorded a video message. 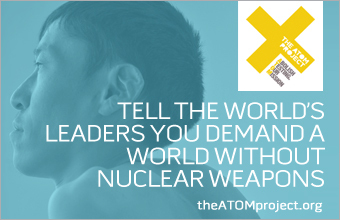 “Dear compatriots, thank you very much for supporting me. Happy New Year! I would like to wish you good health and success in everything. Thank you!” she said. Meirzhan Turebayev was recognised as the Favourite Viner (an actor performing in vines, or short-form videos) of the Year. He became famous in the Kazakh Internet community in his role as a police officer in numerous humorous vines. “I take a detached view and think, ‘why am I in the same row with such great people as teachers and doctors?’ But I decided that this was probably because we all do what we love and this is always welcome. Thank you for this award! It is very pleasant that the year begins with such an event,” he said. Tokan Sultanaliev, chief surgeon at the National Research Centre of Oncology and Transplantology in the capital, won in the Best Doctor of the Year category. The title of Best Teacher of the Year was given to Astana Schoolchildren’s Palace Director Yerbol Irgebay. PyeongChang Paralympic Winter Games gold medallist Alexander Kolyadin and 2016 Paralympic Games and 2018 Asian Paralympic Games gold medallist Zulfiya Gabidullina were named the Best Male Athlete of the Year and Best Female Athlete of the Year, respectively. Parliament Senate Deputy Bakytzhan Zhumagulov won in the Best Parliamentarian of the Year category. He was unable to attend the ceremony and his colleague Senator Byrganym Aitimova spoke on his behalf. Political scientist Islam Kuraev was named Best Publicist of the Year. Architect, poet and cinematographer Bakytzhan Ashirbayev took the award as Cultural Figure of the Year. Kazinform was named the Best Internet Information Edition of the Year. Kazybek Freydman, who posts on Twitter and Facebook, was named Leader of Blogosphere of the Year. Designer and fashion designer Malika Duissenbayeva won in the Fashion Leader of the Year category. Guests of the ceremony enjoyed her fashion show. DalaFrukt Fruit Production Company founder Bolatbek Aliyev (Turkestan region) and Karasu Agriculture Company Director Almat Tursunov (Kostanai region) won in the Best Farmer of the Year category. The Best Entrepreneurs of the Year were Zhas Kanat 2006 Director Kairat Maishev (Kostanai region) and Raduga Director Dmitry Sharapayev (North Kazakhstan region). The Best Public Figure of the Year was political scientist Yerlan Sairov. The favourite TV presenter was Layla Sultankyzy from Channel 7. The Braveheart honorary award was given to Astana Police Department Road Patrol Police Inspector Azamat Baltabayev. In June, he saved a six-year-old child from falling from the ninth floor of a building. On Dec. 14, President Nursultan Nazarbayev awarded Baltabayev the Order of Aibyn of the II degree. Health veteran, Honoured Worker of Kazakhstan and Kazakh SSR Minister of Healthcare from 1971-1982 Toregeldy Sharmanov won the Golden Era honorary award. The capital’s State Commission for Redeployment of Higher and Central Bodies Chairperson Farit Galimov received the Contribution to Development of Astana honorary award. 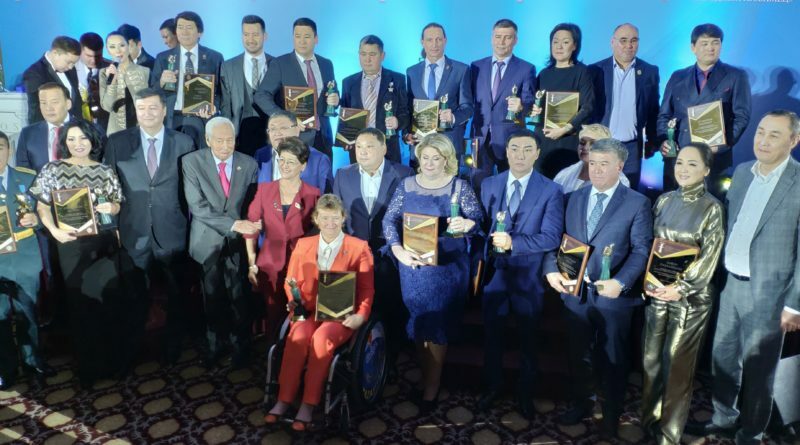 Patron of the Year honorary awards were given to businesspeople Bekbolat Achibekov (Aktau) and Sergey Blok (Kostanai) and Atyrau Maslikhat Deputy Alibek Semgaliyev. The Military Person of the Year award was given to Reconnaissance and Assault Company Squad of Assault Troops Commander Galymzhan Aleukhanov, who saved two small children from a fire July 2017. The New Faces of Trade Unions awards were given to Pavlodar region Trade Union Centre Chairperson Dinara Aitzhanova, Zholdasbai Agro farm breeder (North Kazakhstan region) and union member Rauan Bralin and Senim Health Workers Union Kostanai branch representative Tatyana Bulgatsevich. Traditionally, a portrait of each winner is drawn by Kazakh cartoonist Valery Krestnikov and sold after the awards ceremony at a charity auction. His cartoon of Tursynov, the most expensive portrait, was purchased by Blok for one million tenge (US$2,637).